This page contains info on all the various Neo Geo machines that you can buy, along with some advice from me on choosing the system best suited to your needs. There are quite a few ways that you can get into playing Neo stuff, so hopefully this will help anybody new to the "scene", as well as provide links to other various places where you can find information! Small print: The info on this page was compiled from various sources (such as the Neo Geo FAQ etc), but mainly my own experience. To the best of my knowledge it is all accurate, but if you think otherwise then let me know! You can get in touch with me using the address listed on the Contact page! The arcade version of the Neo Geo system (MVS - Multi Video System) was released in 1990 by SNK Corporation. 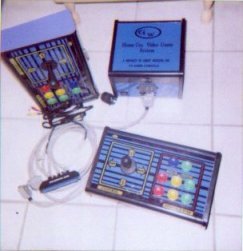 A short while later, the home version of the system was released, which was practically identical to the arcade version. Games for the home system are also identical to their arcade counterparts*, all carts contained both the arcade version and the home version of the game (However many home versions had extra options etc.) Also, most games contain both English and Japanese text, the only exceptions being mostly Mahjong games and the Quiz games which were only ever released in Japan. 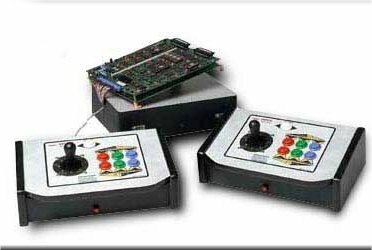 *Note that you cannot plug arcade MVS Neo Geo boards into the home system and vice versa. You can have them converted to work, but this can be a costly procedure. This was done to stop arcade owners from buying the "cheaper" home versions of the games for use in their MVS'. The Neo Geo was a lot more powerful than any of the other systems around at the time it was released. Many of the best and most well known game franchises ever (particularly fighters) were originally released on Neo Geo, the best examples being games like Samurai Shodown, Fatal Fury, King of Fighters and puzzle games like Puzzle Bobble. The main thing that held this machine back was the price. At launch time it cost about $500 in the US, which was far beyond the reach of most people. Added to that, the games were also very expensive at around $200+ each, so only true die hard fans with LOTS of spare cash could really afford it. If you wanted to play the games at home, the only thing that most people could do was to buy the conversions that were made for various systems (SNES, Megadrive/Genesis). Unfortunately most of them were nowhere near as good as the original versions. Not even conversions to more modern machines like Sony's Playstation are all that good, although some of the Sega Saturn conversions were reportedly pretty decent, as are the Dreamcast conversions. "Should I buy a Home System/MVS? Which would be best?" In my opinion it is definitely worth buying either a home system (AES) or the arcade system (MVS), although my personal preference is MVS. However, you better be prepared to lay down some serious cash to get into this hobby, particularly if you buy the home cart system!!! This is one of the reasons I prefer the MVS, as games work out cheaper in the long run. Although they are much more expensive when first released (games like KOF are around a US $1000 on release), they drop in price quite quickly later on when the arcade operators want to get rid of them to make way for newer games. For instance, my Last Blade MVS cart is probably worth $40 or so, but I've seen the home cart go for over $150... quite a difference. It may take a while for the prices of newer MVS games to come down, but they do become much cheaper than home carts eventually. "Do I need an arcade cabinet to play MVS?" I'm not quite sure where my supergun originated from, but it does the job very nicely! :) Not shown on that pic are the joysticks I use: I have original Neo Geo sticks, which actually plug in directly to my MVS board, and not the supergun itself... more on this later! The Supergun systems from the companies mentioned above actually come with some nice sticks already (shown on the pictures), so if you buy one of those you won't need to buy any more... my supergun only came with joypads, which I didn't really like using with Neo Geo fighting games. For those wondering what the buttons on the front are for, the red buttons are for inserting coins and for accessing the dipswitch settings, and the two silver switches are to do with the controller configuration. Once you have those three things, you are all set (I'm assuming that you've got a TV as well ^_^;)! A quick note about the MVS's themselves though: they come in different varieties - there's 1 slot, 2 slot, 4 slot and even 6 slot boards... a 1 slot will only let you have one game inserted at a time, but multi slot boards will let you plug in more than one cart so you can switch between them without having to constantly pull them out all the time. You'll need to make sure the power source in your supergun can handle more than a 1 slot board though... otherwise you may end up damaging it in the long run. I have an older one slot MVS, and my reason for buying it was mainly because it has joystick ports on it, and also a slot for a Neo Geo memory card... the newer style boards are lacking these (if you want them, be sure to check what type of board you are getting before you buy it). This made it much easier for me to get some nice arcade sticks, and being able to use a memory card was a nice bonus! The memory card is usually used to save your progress on a game: if you get so far in a game and lose, but don't continue, you will get the option of saving your progress so that you can carry on from the same position later. "So I should get an MVS and not the home cart system then?" Well, it depends on your preference, and also your budget. I prefer the MVS because I find it cool to have the full arcade experience (even if I don't have a proper cabinet) and I don't have masses of money to spend... so I like it even more because it is cheaper. Many people go for the home console though, as the games come in nice plastic cases (MVS carts come in a cardboard box at best, usually with some artwork and maybe an instructions sheet)... home carts are also preferred for collectors too. Also, as I mentioned, the home carts are cheaper when first released, compared to the initial asking price for arcade carts. It just depends on what you prefer really. If you are interested in getting some nice cases for your MVS carts though, check out Big Bears site, which sells custom made cases for them, and also provides inserts for you to print out and use! 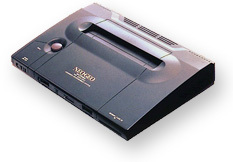 A few years later, SNK attempted to rectify the price problem by releasing the Neo Geo CD system. While the system was still pretty expensive (around $300 or more), the games were FAR cheaper than the cartridges ($50 or so)... thus bringing the Neo to a wider audience. Some games even had extra options/features added to them, and they also had the advantage of CD quality soundtracks which sounded fantastic. That may sound great, but the load time of the machines single speed drive was horrendous... While in some of the smaller games (like Puzzle Bobble for instance) this wasn't a problem at all, in bigger games it could be very annoying. You could almost make a cup of coffee in between rounds of The Last Blade!!! A newer version of this machine called Neo Geo CD(Z) was released later on and was supposed to have faster loading times, but it still didn't help much. From what I have heard, this was not a great deal better than the standard machine, as the drive wasn't even true double speed! Why did SNK use such a slow speed drive? Probably to keep costs down. Even so, it was a VERY bad idea, and perhaps stopped the machine from selling as well as it could have. "So it isn't a very good idea to buy the CD machine?" Again, it depends on what you want, and how much you have to spend. If you don't mind the long loading times, then you'd probably be ok with the CD machine, and you'll also get the advantage of having great cd quality music. One other downside is that newer games like Garou: Mark of the Wolves and KOF 2000/2001 were not released on CD, and some other games also had animation cut down to fit them into the machines small memory. There are a few Neo Geo CD exclusive titles however, such as Zintrick, Iron Clad and Crossed Swords 2. It's long been rumoured that Zintrick and Iron Clad exist for the MVS in prototype form, although they were never officially released - so the Neo Geo CD is the only way to play them. For more info on those games, check out my reviews of them, and also be sure to check the Prototype page for info on other prototype games. Harry Tuttles "The Dump" which has a good explanation of the Neo Geo's history inside their Neo Geo section . Also look at Neo-Geo.com (unofficial site) which has a lot of great stuff about the Neo Geo, including prices guides and an excellent forum. For info on SNK's handheld system, please check out the Neo Geo Pocket guide. 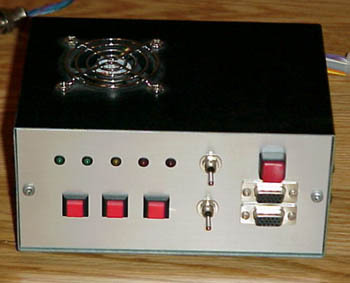 Is the Supergun the best way to play ? can you help me on how to download king of fighters 2002 easily?